Sitting in the office, you are tasked with gathering some information. Do you send an email, or call them on the phone? Depending on who you ask, you will get a variety of answers. If you are anything like me, your first inclination might be to send an email. Before you start drafting that new email to send out there are a few things we need to consider. The email vs. phone call debate is a bit nuanced, and not simply a zero-sum game. Let’s take a closer look at how using email and phone calls together can help you become more efficient and communicate better. Now that we know the pros and cons of both, let’s look at why we are considering using either one. When we send an email or make a phone call, we are on a mission. That mission will vary depending on the situation. Typically it involves sharing or requesting information. Beyond the exchange of information, the way we go about it is just as important. The way we communicate should be done in a way that is done clearly with the least amount of disruption possible. For example, emails are great for sharing quick snippets of information that may not necessitate a response. If things become unclear, however, you will have wasted more time sending emails than if you would have just called in the first place. Phone calls are great for filling in the void left by text alone. A person’s tone of voice can help with directing the course of the conversation. Phone calls also allow for quicker responses and opportunities for clarification. Phone calls, however, present the greatest risk for disrupting your recipient’s workflow. This comes as a result of breaking his or her concentration on a task to answer the phone. It also takes a considerable amount of time to regain that mental focus after hanging up the phone. What is your relationship with the person you are reaching out to? And yes, I mean person because we do not typically speak to organizations as a whole. Keeping in mind the nature of your relationship will help guide you on which method to use. If it is someone you know well, you could probably get away with a meandering phone call. If you are trying to reach someone who is consistently away from their desk, an email might be better suited to communicate with him or her. The key here is to use a method that is both convenient and comfortable for you and the other party as well. So to ask again which is better, email or phone call? Posing this question is like asking if the right hand is better than the left. Framing it the “email vs phone call” way also implies that it can only be one or the other. In today’s work environment, both are necessary for effective communication. Email works well as an asynchronous method of communication. We can still communicate without worrying about schedules lining up. It also allows the recipient to view documents and assist with writing and editing, something that phone calls do not allow. When two people have difficulty conveying ideas that text alone cannot help, the phone call can help clear things up how to revise the document in question. Plus, phone calls help to establish a human presence behind the text. 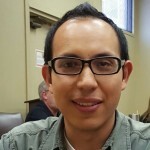 Roman Alvarez is part of the GovLoop Featured Blogger program, where we feature blog posts by government voices from all across the country (and world!). To see more Featured Blogger posts, click here.